Brand new Cosmetic Pouches are a must have for carrying on the go. 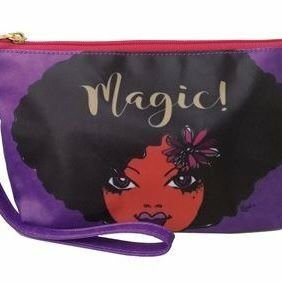 Perfect size for mascara, lipstick, makeup, pens, pencils, sunglasses, and other small items. Featuring Black Art from your favorite African American artists.